Was very helpful on the phone. Order shipped and arrived as stated. Nice to have someone local that is dependable. Engineered for a perfect fit - and perfect alignment! 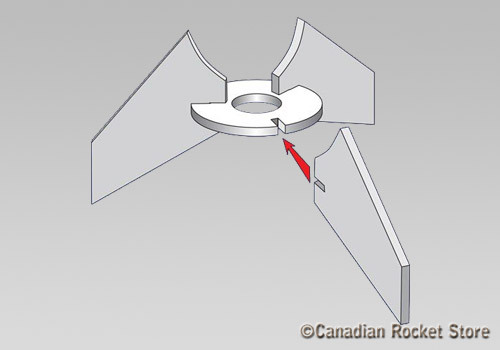 Each fin is precisely cut to fit into a center ring. After all three fins have been slid into place and the alignment carefully checked, you apply a fillet of low temp hot melt glue to each fin/ring joint. This allows you to get perfect alignment each time. And for the SAFEST fin attachment system ever, the completed fin unit is held onto your PET bottle by the molded rocket nozzle (#7321). Fins are NOT glued to the surface of the PET bottle. Only the Quest water rockets are engineered for the highest level of SAFETY and give you AMAZING Performance!